Isn't this cover beautiful? I am beyond blessed to be a part of Hachette Book Group/Grand Central Publishing/FOREVER YOURS. 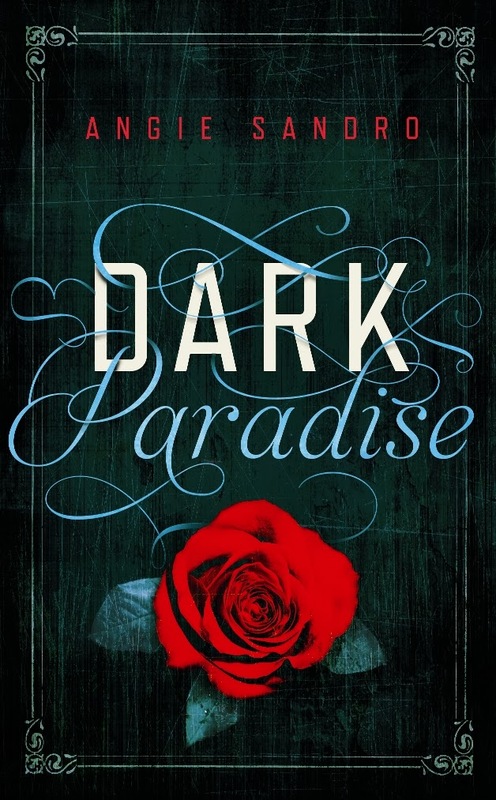 I'm having a wonderful experience, and I can't wait to share DARK PARADISE with everyone on July 1st. Every bit of this experience from going through the editing process, to coming up with a new title and cover, to seeing DARK PARADISE up on Goodreads and Amazon took my breath away. I'm on a total emotional high right now, and I never want to come down. I'd like to thank the wonderful group of bloggers who have made this cover reveal an amazing experience. To every one stopping by and showing their support, I am touched by your generosity. Please scroll down to sign up to win the $25 Amazon Gift Card and visit the amazing blogs listed below who are participating in this reveal. I'm giving away a $25 Amazon Gift Card. I do believe in ghosts, although i've never seen one myself. Thank you for the giveaway! I've never seen one either, but I like to keep an open mind. I'm the same. I don't know if I want to see one or not. I'm kind of a chicken when it comes to real life scares. But that doesn't stop me from going to scary movies or haunted houses, lol. LOL, now I have the GHOSTBUSTERS song in my head. It's funny how a simple sentence can conjure up a song I heard as a kid. Who ya gonna call? Ghostbusters, lol. I do believe in ghosts but I never seen one. I have seen strange things that make you want to believe. Ack, Athena! I just got that darn song out of my head. You're killin' me, lol. Strange things makes the world more exciting. It's fun to think, "What if..." Guess that's how this story originated. What if a girl found a body in the swamp? What if the dead girl's spirit started haunting her. Add in a marathon of SWAMP PEOPLE and bam...DARK PARADISE is born. Yes I do and yes...I have seen something before. I went to school in an old convent which is very much known for being haunted. I'm sure you have a wonderful story to share. A haunted convent, I can almost picture it. Yes. When my mom first moved into a condo in charlotte I went to visit and help out. I was sitting on the sofa when I see a dog (at the time it looks like a basset hound or beagle) to into the kitchen from the living room. Really freaked me out. We found out from neighbors that a Bassett hound had indeed died in that house. Thanks for sharing your story. It actually reminded me of something that happened when I was a child. I had to talk to my sister about it, so I'll share as well. So I've been saying that I never actually saw a spirit, and I don't know how I could forget this story. Maybe because this happened when I was five and any memory from that long ago is suspect, in my opinion. My younger sister actually reminded me of it. We lived in an old apartment building in downtown Madrid, Spain in 1977. Whenever something disappeared in the house, my mom complained about the ghost moving stuff around. Like we'd find the phone in the refrigerator or our toys wouldn’t be where we left them. We had a kitten named Blackie that would go crazy for no reason. It would run around, bouncing off furniture, like a crazed, little wildcat. We had to be careful when we held her because Blackie would suddenly freak out and scratch us. In my bedroom there was a rocking chair. It would rock back and forth on its own. I would watch it as I tried to fall asleep. And sometimes, if the light shined in through the cracked door, I’d see the Tall Man. That’s what my sister and I called him. He was tall, gaunt, had a full beard, and wore a long leather coat. He’d sit in the rocking chair and watch us as we fell asleep. I thought he was a product of my imagination until my sister told me described this same man. So I guess I have seen a spirit. Unless my sis and I experience the same hallucination. I believe...I was at my best friends house. She had a light that faced the wall so if you were on the computer you would see if someone were to walk behind you. Their shadow would be on the wall directly behind the monitor. So...she'd gone downstairs to shower. Not even 3 minutes after her trek down stairs I heard foot steps and saw a shadow pass behind me. I said "What'd you forget?" The shadow moved off then returned. With no response, I spun around in the chair. There was no one there. I turned back around. The shadow of a person clear as day on the wall. I turned so many times to see if I was seeing things. I was not. Since that day I had heard many stories of people who passed in that house. (Their family, the house had been in the family decades). A spirit follows my friend from home to home. Nothing bad happens. I have come into her kitchen and all the cupboards open at once. I don't fear it. I speak to it. It's never hurt anyone. It's protective. Peaceful. Wow, what an interesting experience. I prefer a protective spirit to one that's not. I do believe in ghosts. I have taken pictures in which I believe I can see ghosts in very old homes. I took a picture of an old house I was fascinated by and then I saw over 10 ghostly images in windows when I pulled the picture up on my computer. Thanks, DMS. My sis-in-law uses a setting on her phone to capture images of balls of light floating around her house. I have no idea what they are, but I've seen the video. I don't really believe in them and have never seen one, but it's fun to think there are. And who knows, maybe there really are! I don't really believe in ghosts, nor have I ever seen one, but it's fun to think there are. And maybe there really are....who am I to say? That's how I feel, too. And they make for a good story. I believe in ghosts but ive never seen one. Thanks for stopping by Amanda. If you ever see one, please share the story. I don't think you have to "see" ghosts. Sometimes you just feel their presence. Really nice cover, Angie! Good luck with your book, Angie. I don't believe in ghosts, But I loved Ghostbusters. I used to never believe in ghosts until i worked at a store they told me was built on an indian burial ground and that there was ghosts in the shoe dept i worked. One day i was the only one there and i heard what was like 2 sets of feet stomping around running upstairs, I was so scared I started crying. I work at another job in same area and on camera i saw a flashing light on my back and a strange glow in the room. I do believe in ghosts now.